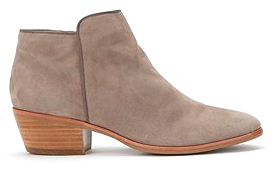 The Sam Edelman Booties are $104 (through 8/5) at Nordstrom Anniversary Sale! Thinking about buying them. Thanks for the tip - I just added it to the post! They are quite comfortable, too! ah! such a good deal... but i was planning on saving up for the rag and bone durham or raleighs this fall... do you think those are too high?